Park Cities Oral & Maxillofacial Surgery Associates provides the highest standard of oral and maxillofacial surgery care, including dental implant placement and wisdom teeth removal. Our practice serves the community in and around Dallas, TX, and is proud to offer the full scope of oral and maxillofacial surgery. A dental implant can restore total function and a natural appearance to your smile. Wisdom teeth are extremely large and can cause health problems if not removed early. A tooth extraction may be necessary to prevent infection or damage from worsening. In Dallas, TX, our practice creates a welcoming and friendly atmosphere for all patient appointments. We offer a variety of oral procedures as well as anesthesia options to prevent pain or discomfort during treatment. Drs. Phillips and Ray will provide a thorough consultation to determine the proper oral procedure needed to treat your condition and restore your smile. Our oral surgeons are highly qualified to perform the full scope of oral and maxillofacial surgery, including dental implant placement, wisdom teeth removal, bone grafting, pre-prosthetic surgery, and more. Janell was pleased to be seen right away when her tooth was inflamed and needed removal. At Park Cities Oral & Maxillofacial Surgery Associates, our staff is more than happy to assist you with scheduling your appointments, financial or insurance inquiries, and questions about recovery. 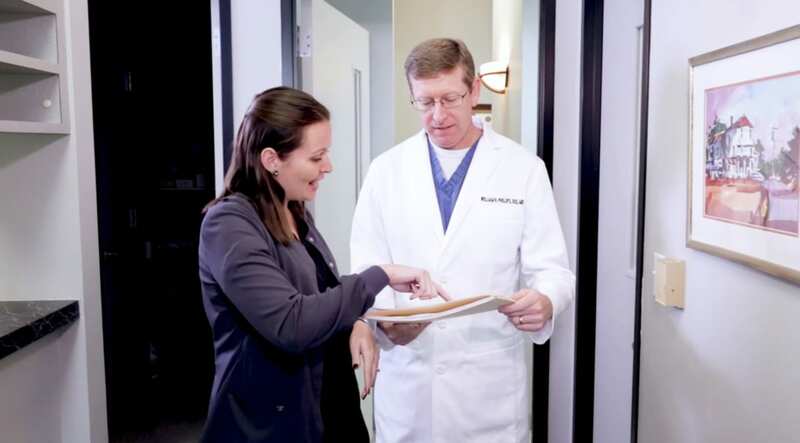 Our board-certified oral surgeons have years of training and experience and are prepared to treat any oral or facial condition, no matter how complex. Our practice is home to advanced surgical tools and equipment, such as 3D imaging technology, which allows us to provide the most detailed and accurate treatments. To learn more about our practice or the services we offer in Dallas, TX, feel free to visit our website or contact our staff directly. Meet our Share A Smile Recipient! Dr. William Phillips grew up in Denton, TX, and became inspired to pursue a career in oral surgery by his uncle, who was a surgeon. A native Texan, Dr. Michael Ray grew up in The Colony, just north of Dallas. Don&apos;t just take our word for it. See why our customers love us. Explore our social media channels to read about our latest insights.